Humans star Gemma Chan has joined the cast of Captain Marvel. Chan will star as Minn-Erva in Marvel Studios' upcoming move, Deadline reports. Comic book readers know Minn-Erva as the Kree geneticist Doctor Minerva. In addition to her role as Anita/Mia in Humans, Chan's acting credits include Transformers: The Last Knight and Fantastic Beasts and Where to Find Them. She will also appear in Mary Queen of Scots, as well as the upcoming film adaptation of Crazy Rich Asians. Two new comic books set in the world of Avatar: The Last Airbender are coming this fall from Dark Horse. As reported by Entertainment Weekly, one of the graphic novels, titled Avatar: The Last Airbender — Imbalance Part One, is the first part of a new trilogy that continues the main story. In it, Aang and his friends Katara, Sokka, and Toph find themselves caught up in a conflict between benders and non-benders. Avatar: The Last Airbender — Imbalance Part One is written by Faith Erin Hicks (The Nameless City) with art by Peter Wartman. The two are working in collaboration with series co-creators Michael Dante DiMartino and Bryan Konietzko. Warner Bros.' upcoming Batgirl movie will no longer be directed by Joss Whedon. In a statement released to The Hollywood Reporter, Whedon, who was attached to write and direct the DC movie, said he left the project because he couldn't come up with a story. Thanks to a stellar first Tuesday at the domestic box office, Black Panther has broken even more records. As reported by Deadline, the film earned an estimated $21.1 million yesterday, topping Beauty and the Beast ($17.8 million) for the best pre-summer Tuesday of all time, as well as surpassing The Avengers ($17.6 million) with the best Tuesday ever for the Marvel Cinematic Universe. Star Wars: The Force Awakens still holds the number one spot, with a Tuesday haul of $37.3 million. Black Panther is expected see a 55-57 percent decline in its second weekend, making somewhere between $104 million and $109 million. The film had the second-biggest four-day domestic debut of all time and set a new record for the Monday box office, surpassing The Force Awakens ($40.11 million) with a whopping $40.167 million haul. Marvel's Black Panther performed incredibly well in its preview night at the domestic box office. According to Box Office Mojo, the film earned $25.2 million on Thursday night, making it the second highest preview total for the Marvel Cinematic Universe, just ahead of Captain America: Civil War's $25 million Thursday night figure. Avengers: Age of Ultron is the current leader, having made $27.6 million in preview night sales in 2015. Black Panther is eyeing a $200 million-plus four-day opening weekend, which would put it ahead of Deadpool's domestic debut in 2016, setting a new box office record for both Presidents Day weekend and the month of February. Black Panther's preview night box office is nearly double that of Deadpool, which earned $12.7 million. Excitement for Black Panther continues to climb, as do estimates for its opening weekend at the box office. Less than a month ago, director Ryan Coogler’s upcoming MCU movie was tracking to have an opening weekend in the ballpark of $100 million. Now, just hours ahead of its domestic debut, Box Office projections for the four-day holiday weekend have increased to a range of $190 million to $215 million. As such, Black Panther is on track to surpass Deadpool’s domestic debut, setting a new box office record for both Presidents Day weekend and the month of February in North America. In 2016, Deadpool garnered $152.2 million over the four-day holiday weekend. Clark Gregg has revealed why he wasn't in the photo celebrating 10 years of the Marvel Cinematic Universe. Earlier this week, Marvel Studios released a 10-year class photo that includes a bunch of actors and filmmakers who've been involved in the MCU. Gregg, however, couldn't make it because he was busy at New York Comic-Con. The second season of Legion will premiere on Tuesday, April 3 at 10pm ET/PT on FX. 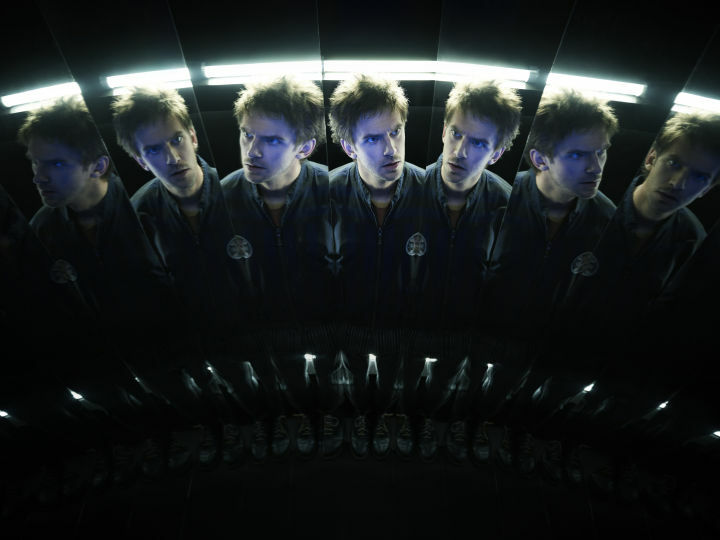 Season 2 of creator and executive producer Noah Hawley's X-Men spinoff series stars Dan Stevens as David Haller, a man who, originally thought to be a schizophrenic, is actually an incredibly powerful mutant. Production has officially begun on New Line's upcoming Shazam! movie. The film will be an origin story of the DC hero, who's played by Zachary Levi. Thanks to an ancient wizard (Ron Cephas Jones), by simply saying "Shazam!" a 14-year-old foster boy named Billy Batson, played by Asher Angel, can transform into the adult superhero. In the movie, Earth's Mightiest Mortal will have to thwart the evil efforts of the villainous Dr. Thaddeus Sivana (Mark Strong).